"Some of you may know me from my films like Medea's Family Reunion and Why Did I Get Married?, or you may know my sitcoms, like Meet the Browns and House of Payne. Or you may be white." Similar to Girl Show Ghetto but with racial minorities instead of females. This is the idea that fiction centred on a racial minority cannot entertain or otherwise appeal to people outside of that race. Marketers might fear that a work starring a racial minority will be focused on issues of race and culture, driving away audiences who are not interested in such movies. They might also fear that white audiences won't be able to relate to a minority in the lead - or worse, find the movies preachy and/or guilt-inducing simply because of who is in them. The result of this belief is that works starring people of colour are rare compared to works starring white people. If a work of fiction wishes to have a diverse cast or deal with issues of race, it will likely star a white person with minorities as supporting actors. See Mighty Whitey, White Man's Burden, White Male Lead, Token White, and Pop Culture Isolation. Adaptions and anything Based on a True Story fearing this might go for a Race Lift to get around it, making any minorities in the original work white instead. Alternatively, they might find a white person who had a minor role in the original story and focus on him. It is not uncommon for works featuring non-white leads to become popular when advertising hides or downplays the presence of non-white characters. This is especially true in written works, where advertising does not require representations of the characters. Sometimes these works see no drop in popularity when the lead is shown to be a person of colour, suggesting that readers will enjoy a good story once they get over their initial reluctance from seeing a person of colour on the cover. One of the theories as to why The Princess and the Frog wasn't as successful as it was expected would have been because of the protagonist's ethnicity. However, other factors from lack of advertising, to being released at the same time as Avatar, to the use of traditional animation have also been blamed. Mind you, the movie was still successful as far as animated movies go. Danny Glover has tried to raise funds for a film on the Haitian Revolution. However, he keeps getting rejected because the story lacks white heroes. Read about it here. Tyler Perry's movies are not very popular outside the black community, though there is controversy on whether it's because white people don't want to see black movies or because they are of poor quality. And that's all that needs to be said about it. Spike Lee gets hit with this, too. His Miracle at St. Anna didn't get the best reviews (34% at Rotten Tomatoes) but that alone doesn't explain it's incredibly low box office numbers (a little over US$9 million with a budget of US$45 million). Halle Berry has stated that this belief makes it hard for her to find roles. The Wiz was a black-led musical version of The Wizard of Oz. The film version released in 1978 was a box office failure that greatly damaged the perceived financial viability of all-black films. This is incredibly common with black actors. Many of them only get lead roles in all black films that aren't really mainstream. If they do get work in mainstream movies, they often play the Token Minority. Red Tails was in Development Hell for over 20 years because the idea of all-black cast wasn't appealing enough for a movie studio to fund it, so producer George Lucas funded the film entirely out of his own pocket and it finally saw the light of day in 2012. It got a 36% on Rotten Tomatoes and didn't make back its budget at the box office. Like many other examples, it's unclear if this is because of the all-black cast or because there are other valid criticisms of the film. Some people say this is the reason The Last Airbender starred a white kid from Texas as Aang. My Brother and Me, a Nickelodeon sitcom with a mostly black cast, only lasted 13 episodes, though strangely, re-runs would be kept in rotation for a good decade. Nickelodeon's live-action roster has become steadily whiter over the years. Shows like Cousin Skeeter and Kenan and Kel seem to be a thing of the past. It has gotten to the point that they will only allow ONE show with a black lead, and when there's a new show of that type announced, they will cancel the incumbent show. The Real McCoy, an all-black comedy sketch show on The BBC, bombed. The TV series Kung Fu was originally meant to star Bruce Lee. However, executives feared that a show starring an Asian man would be rejected by viewers and cast the white David Carradine as the half-Chinese Caine. The 2003 Re Boot of The Twilight Zone suffered from this. It aired on UPN, a station known for its minority shows, and it ended up being forced to reflect that (plots such as a racist white man waking up black, Forest Whitaker as the host, etc). It only lasted one season, presumably because the changes scared away some white viewers but weren't enough to attract UPN's usual demographic. UPN in general faced this problem for its entire existence. While its black-led sitcoms were always popular with black audiences, none of them ever managed to break out of the ghetto and gain a substantial white fanbase. When UPN was merged with The WB in 2006 to form The CW, most of UPN's black-led shows wound up getting left behind, and the new network aimed for the WB's white middle-class audience. Ironically the WB itself started off similary to UPN and had the same problem with its black sitcoms. Likewise Fox in the early 90's. It's depressingly common—especially in the Young Adult category—for minority lead characters to be obscured or get an outright Race Lift on book covers, with this trope sometimes passed around as an excuse for doing so. 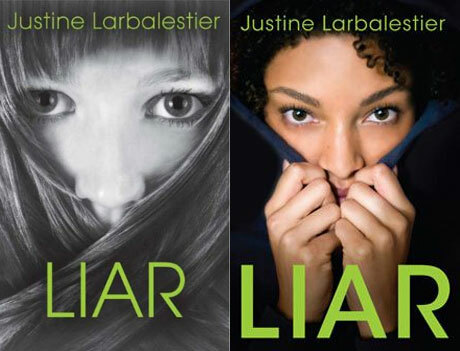 One of the best-known recent examples is the U.S. cover for Justine Larbalestier's Liar. Compare the originally planned cover (left) with the finalized cover (right.). She blogs about the change here. A Wizard of Earthsea had explicitly non-white main characters, though taking place in a fantasy world, so the book itself is actually a pretty good example of an aversion (fantasy being a very white-dominated genre). But, the TV-movie adaptation gave everyone a Caucasian Race Lift save for the main character's best friend who remained black, and an Animated Adaptation done in Japan, due to the way Japanese animation portrays ethnicity in general, made everyone look Caucasian. There have also been studies that heavily suggest that this belief is true. They presented people with identical movie synopses, but with either a white cast or a black cast. And people picked their own race/ethnicity as the one they'd most want to see even if the film had an identical plot. Discussed by Cracked.com in "5 Old-Timey Prejudices That Still Show Up in Every Movie." Three of them, including the top two, address elements of this trope. #2 says that movies always star a white person (or Will Smith) and #1 discusses how white audiences don't care about history not involving white people. Issa Rae, the creator of Awkward Black Girl discusses this trope in this interview. She says that the show couldn't exist without the internet because TV has a very strict notion of how black character should act, which is why ABG won't become a network-TV show anytime soon. Al Simmons was black, but Spawn was still the most popular comic book series of The Nineties. Note however that due to his full-body costume (not to mention being disfigured) Spawn's ethnicity wasn't immediately evident. Somewhat subverted with DC Comics Steel, who was the most popular of the replacement Superman characters during The Death of Superman storyline. His own series didn't last long, but that may have been more due to The Great Comics Crash of 1996 than anything. Will Smith, Denzel Washington, Martin Lawrence, and Eddie Murphy tend to avoid this ghetto. Although Will Smith, Martin Lawrence, and Eddie Murphy have all pandered to Uncle Tomfoolery in the past. Samuel L. Jackson is notably a modern pop cultural icon, although this may have less to do with race and more to do with sheer muthafuckin' charisma and the massive amount of films he's in. Stepin Fetchit got his start in the black vaudeville circuit as a character actor. However, his slow-witted tomming in the 1929 version of Showboat endeared him with white audiences, and led to mainstream success. Martial arts films starring Bruce Lee, Jackie Chan, and Jet Li have gained mainstream popularity in the United States. Rush Hour, a film starring the black Chris Tucker and the Asian Jackie Chan, was popular with both audiences and critics. The sequels got more negative reviews but remained highly profitable. The Harold & Kumar Go to White Castle films have a Korean and an Indian as the lead characters. They are also popular, hilarious, profitable, and well-reviewed. Notably, the studio, apparently believing in this trope, attempted to change the main characters' ethnicities to Jewish in order to make them more "acceptable" to white viewers. The writers (who are Jewish) responded by including two Jewish buddies... as side characters. 2012 movie Think Like a Man topped the box office when released in theaters, actually pushing The Hunger Games to No. 4. The book it was based on was also a bestseller. Slumdog Millionaire is a decidedly Indian story, yet it earned both critical and commercial acclaim in the west as well as that year's best picture Oscar. This happened as early as the 1850s with the English translation and publication of A Thousand and One Nights. Those stories have been wildly popular with Europeans and Americans ever since, despite featuring Arabs and Persians as their main characters. On the other hand, since some of these stories were originally Chinese ("Aladdin and His Wonderful Lamp," for example), the ghetto was solidly in effect in the context of Arab and Persian societies. The Kane Chronicles by Rick Riordan, who wrote the popular Percy Jackson and The Olympians series, has two biracial lead characters. However, note that the leads' race is not immediately obvious on the cover art, unlike the cover art for The Lightning Thief. Might be Percy doesn't immediately look white, so most readers are probably going to assume that he is, but he could as well be Asian. The title character of the popular Alex Cross series by James Patterson is black. This is another example of a book where the POC lead character's race is kept ambiguous until after you've started reading. The Cosby Show is probably one of the biggest aversions of this trope in TV history. Though, of course, Cosby had to work like heck to convince network execs that a show about a professional-class African American family was something that people would have watched. Little Mosque on the Prairie, a Canadian sitcom about Muslims, ran a respectable six seasons and was a big hit for the CBC, even attracting media attention south of the border. Desmonds, a Channel 4 comedy in Britain, became almost as famous as The Cosby Show. The star of Desmonds was invited to do a walk-on part on The Cosby Show as a relative of the Huxtables. Good Gracious Me, a British comedy sketch show with an Asian cast, was highly successful. Kenan and Kel, a Nickelodeon sitcom with two black leads, ran for 62 episodes and is beloved by children of The Nineties. The Fresh Prince of Bel-Air was a black-led sitcom, and is a classic that launched Will Smith's career. Family Matters, particularly after the introduction of Steve Urkel. Many shows on UPN, such as Moesha, The Parkers, One On One, Girlfriends, etc... at least by the standards of UPN. The Jeffersons,the longest running black sitcom in history. It was rated in the top 30 for most of its run. Granted there were white actors in the cast but the leads and the majority of the cast were black. Seinfeld was originally viewed this way by at least one studio executive, who thought that most Americans would find it "too Jewish." What makes this a Wall Banger is that one of the first situation comedies in television history, The Goldbergs, featured Jewish protagonists! Backyard Sports become immensely popular with young children even though you could count the (non-ethnic) white males on one hand. Fat Albert was very popular, having run on CBS for most of The Seventies. Dora the Explorer is universally loved by small children, despite featuring a Latina protagonist whose ethnicity is played up. Avatar: The Last Airbender and its Sequel Series The Legend of Korra are set in a Far East fantasy world where Caucasians don't even seem to exist. The four Elemental Nations were primarily Fantasy Counterpart Cultures of Tibet, First Nation tribes, China and Japan, (with a few other influences). Despite this is has become incredibly popular and hailed as one of the best animated series of all time. It also bears mentioning that the live action movie seemed to give the main characters a Race Lift for this very reason. The three main heroes became white (despite two of them having very dark skin in the series) while the lighter Fire Nation villains became Indian. Cries of Unfortunate Implications were fast and furious. This page was last edited on 17 April 2019, at 14:42.